Thank you, Thank you, Thank you! Absolutely what needs to be said and MUST be heard! So many red lights. Your story and Jose’s new hope are green light all the way. Thank you. Thank you Amikas ! One family helped, finally! Stay strong, Jeeni. You are doing good work! You are making a difference and I am honored to know you. Thank you for your service to our community! One thing you left out in the factors that finally helped Jose’s family find housing: your help. I have a friend who decided to try to help one homeless person obtain housing. Seven months later, after wading through the requirements and mistakes of the San Diego Housing Commission, the Social Security Administration, the San Diego Traffic Court (encroachment violations), and the logistical nightmare of searching for housing, my friend still has not yet found housing. The Section 8 clock is ticking. It shouldn’t take a college-educated assistant working almost a year, with the real possibility of failure still at hand, to create the hope of housing. Joni you hit the nail on the head. I have repeatedly asked City Council, the Mayor and San Diego City Attorney to repeal or issue an enforcement moratorium on the law that makes it a crime to “habitate” in one’s vehicle. The law is unconstitutionally vague and I have an appeal pending on behalf of a homeless man I am representing pro bono that argues just that. What does it mean to “habitate” in one’s vehicle and how come only homeless people are charged with its violation? The law is so vague that enforcement guidelines had to be promulgated, advising police to consider evidence of bedding, toiletries and fast food wrappers in the car as evidence. Occupants of vehicles who can prove they have an address at which they reside are not cited, despite identical evidence of “habitation.” Once the vehicle and its occupant(s) are tagged by the police once, this fact can be used as evidence anytime the vehicle is subsequently found parked on a city street or lot, making the status of being homeless a criminal offense. A virtually indistinguishable ordinance in Los Angeles was found to be unconstitutionally vague by the 9th Circuit but the San Diego Superior Court, citing no reason for doing so, and without any legal justification from the prosecutor, ignores this decision to uphold this unfair law. The police use this law to harass the homeless, ticketing their vehicle or issuing citations to them in person if they are found in or near their vehicle every time they see the vehicle. Eventually, the city is able to tow the vehicle and when the homeless person can’t pay the impound fees, the car and its belongings are deemed forfeited to the city. Instead of helping these individuals, the police are making things worse. 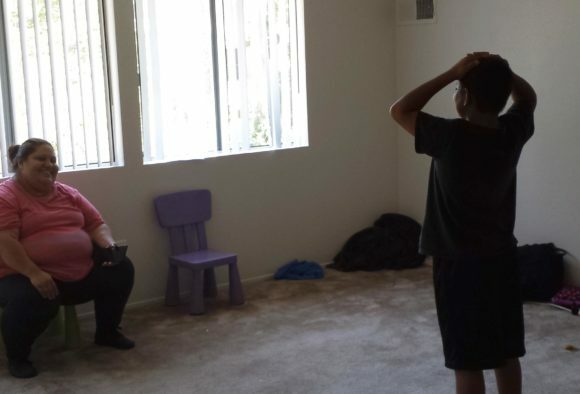 They’ll claim they only apply the law against those who “don’t cooperate,” and by that, they mean those who don’t agree to reside in one of San Diego’s shelters. What they won’t tell you is that the shelters are not numerous enough, don’t offer space to single women or those who have jobs and cannot check into the shelter by 6 pm. They won’t tell you of how homeless people are further victimized and traumatized at these shelters and how their locked cars offer more personal protection than the City is able to provide. They won’t tell you how the shelter, even if they reside there, will require that they take all their belongings with them each morning when they check out, but that if they place these belongings in their car, they will still be subjected to ticketing by police as these belongings will then constitute evidence of habitation. And what they won’t tell you is that by continuing to criminalize the homeless, that they are jeopardizing the HUD Consortium of Care funding which threatens to deny funding to abate the homeless problem to jurisdictions who seek to criminalize the population. Repeal of this ordinance or a moratorium on its enforcement is not only the right thing to do, it is also FREE. It will not cost the City a dime to repeal. Indeed, the San Diego Police Department which has been bemoaning how understaffed it has been for quite some time can divert the officers assigned to the “Quality of Life” homeless harassment squads to other purposes, thus saving money and better using our police resources than to hide the unpleasant reminder that San Diego has the fourth largest homeless population in the country. Our mayor hired a homeless czar who accomplished nothing and cost the taxpayers over $102,000 for the 7 months she held her position. Our mayor had cement spikes installed at $57,000 which did zero to solve the problem but simply moved the homeless to other un-sheltered areas in the city. And our mayor has refused to meet with me to discuss repeal of this ordinance and other “free” ways that the city can adjust its inhumane treatment of the homeless. So what can you do? Call the mayor 619-236-6330, call Mara Elliott, 619-236-6220, San Diego City Attorney and call your City Council Member and/or Chris Ward, D3, Vice Chair of the San Diego County Regional Task Force on the Homeless 619-236-6633) and tell each of them that YOU would like them to repeal San Diego Municipal Code 86.0137(f). It won’t cost you anything to do this, nor will it cost the city anything to do this, and it will help our homeless population instead of further victimizing them. Thank you.